I began my summer break by heading off into the unknown. 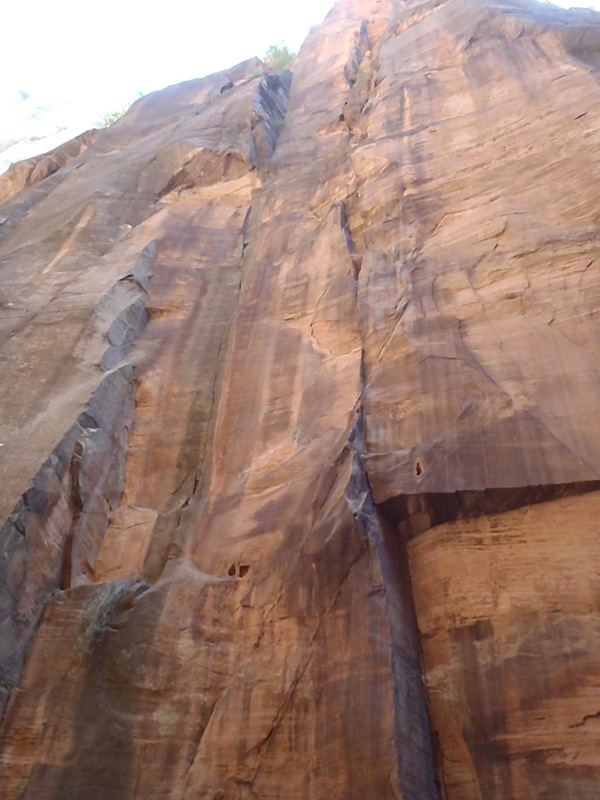 It seems to be a theme with me that I jaunt off into some rock strewn place hoping for good new rock climbing potential. 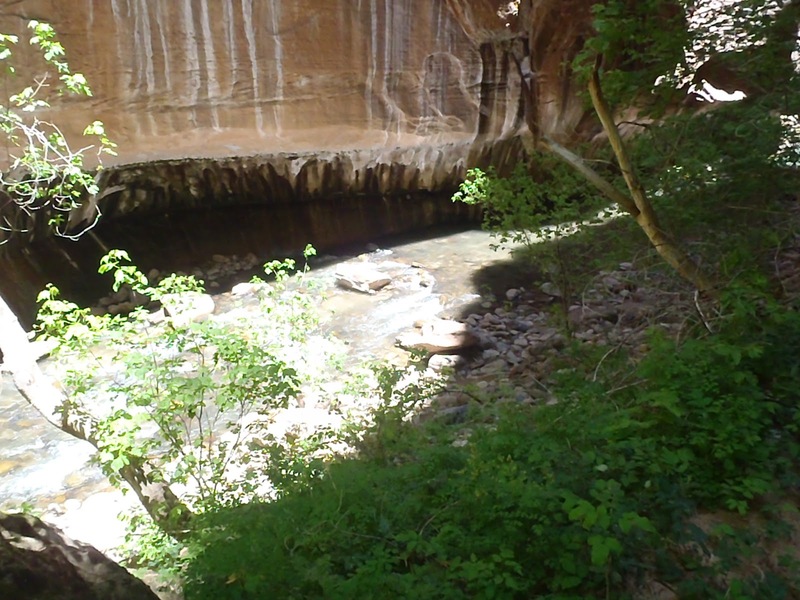 It has taken me all over the world and there are few places that I love more than Zion National Park. 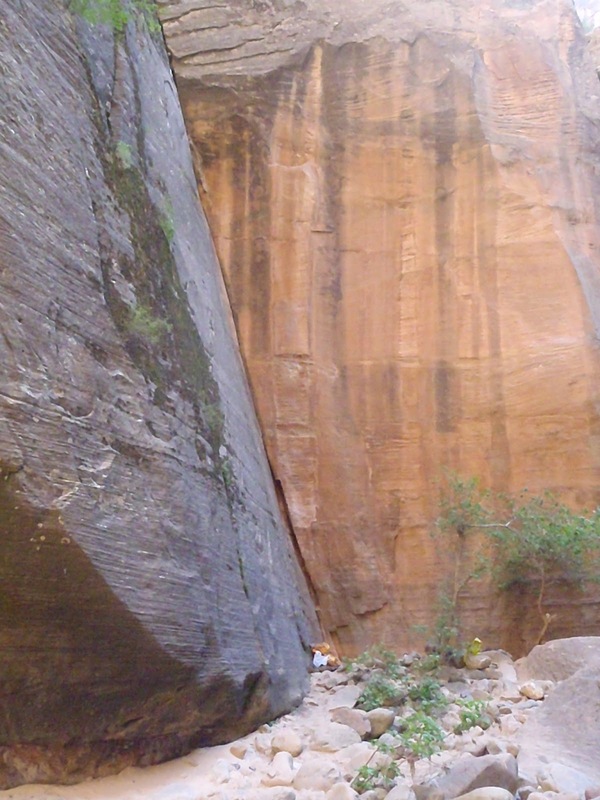 Zion boasts some of the largest sandstone walls in the world and some of the best canyoneering. 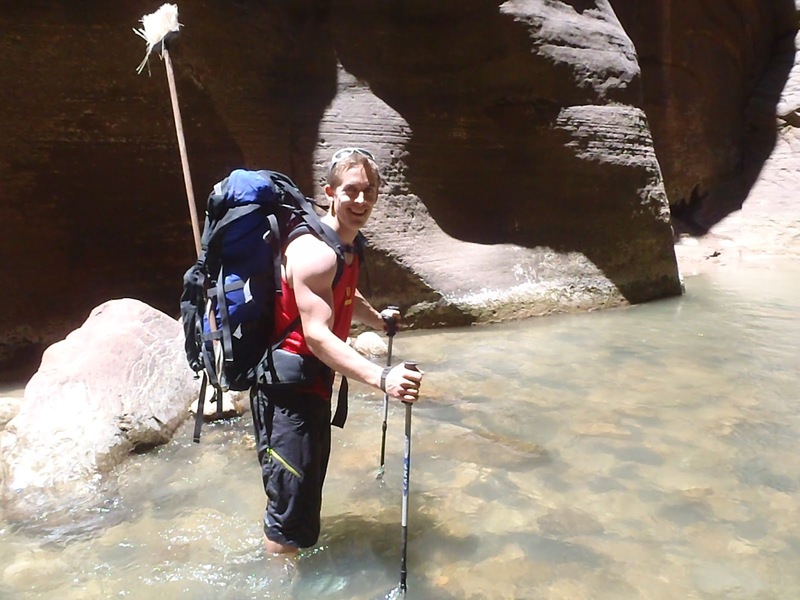 I was hoping to hike around in the most famous canyon, the Zion Narrows and find some new cracks to climb. I enlisted a good friend Andy to join me and off we went. 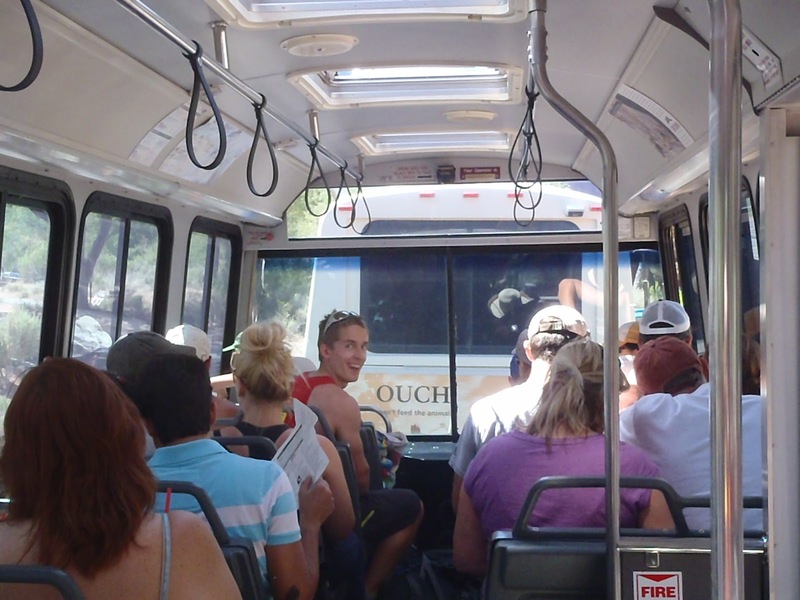 Its not Zion without the summer bus ride. Andy packing in the gear and a broom to clean the sand and spiderwebs from the cracks. 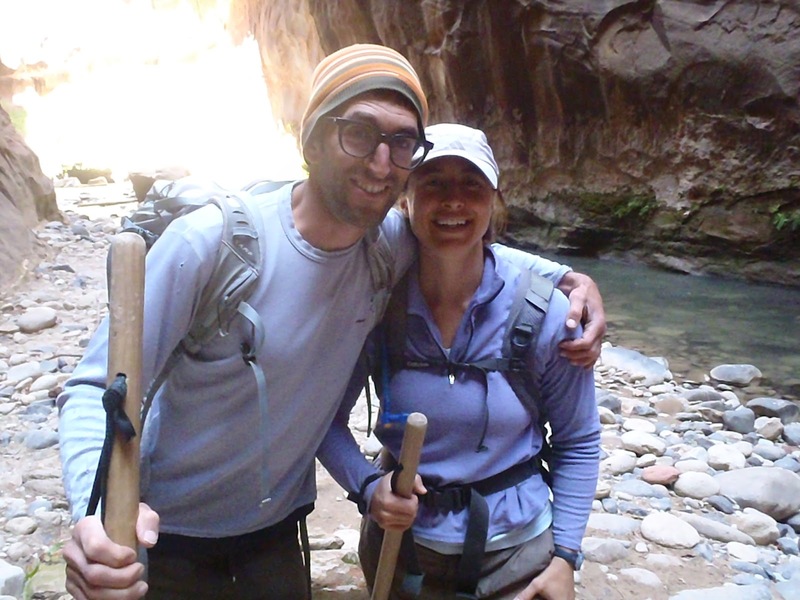 We were lucky to see Ari and Sandy along the hike! Our zone of new routes. 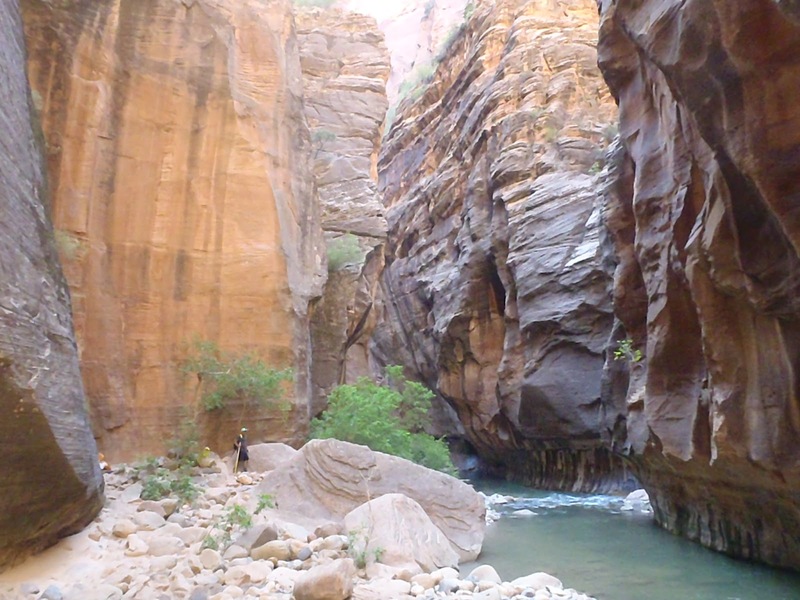 We dawned our waders, hiking poles and climbing gear and headed upstream from the tourist fillled bus and began to gaze at all the potential in the narrow water filled canyon. Many lined looked great but something was always missing. We eventually chose a zone that had a half dozen single pitch routes that looked great and we even found a multipitch route that was almost more than what we bargained for. Enjoy the photos of our wet adventure.